Gain access to information on thousands of topics covering new advances, alternative approaches, challenging treatments, diagnostics, rare pathologies, complications, and more. VuMedi is the largest content source for educational videos for healthcare professionals. Create an account now – it’s free! Cardiology.org is a web site maintained by the Clinical Exercise Physiology Consortium for educational purposes. The consortium is led by Dr. Ashley, Dr. Myers and Dr. Froelicher. Non-funded research and educational opportunities for pre-medical, medical, and post-medical US and International graduates are available through Stanford. The Stanford requirements for visiting scholars must be met including verification of external funding. Practice interpreting arrhythmias with the Rhythm Strip Flash Cards. How many can you get right? Put your hemodynamic skills to the test, can you beat the clock and label all thirty points on the Wiggers diagram correctly? This is a Facebook group for cath lab techs and nurses for learning, exchanging and sharing knowledge. 16,850 members. The Society for Cardiovascular Magnetic Resonance (SCMR) is the recognized representative and advocate for physicians, scientists, and technologists who work in the field of cardiovascular magnetic resonance (CMR). SCMR is the principal international, independent organization committed to the further development of CMR through education, quality control, research, and training. The Journal for Vascular Ultrasound (JVU) is the official journal of the Society for Vascular Ultrasound. It consists of original scientific and educational articles, case studies, book reviews, technical reviews, ultrasound principle reviews, viewpoints, letters to the editor, and CME tests. The Journal of Cardiovascular Computed Tomography is a unique peer-review journal that integrates the entire international cardiovascular CT community including cardiologist and radiologists, from basic to clinical academic researchers, to private practitioners, engineers, allied professionals, industry, and trainees, all of whom are vital and interdependent members of the cardiovascular imaging community across the world. Journal of Endovascular Therapy, an official publication of the International Society of Endovascular Specialists (ISEVS), publishes peer-reviewed articles of interest to clinicians and researchers in the field of peripheral endovascular interventions. The official journal of the Vascular Access Society. Journal of Cardiovascular Magnetic Resonance (JCMR) publishes high-quality articles on all aspects of basic, translational and clinical research on the design, development, manufacture, and evaluation of cardiovascular magnetic resonance (CMR) methods applied to the cardiovascular system. The premier source for research and information on cardiovascular ultrasound and technology. CASE, a new, global, open access e-only journal, welcomes case reports where echocardiography is used to diagnose or help solve a clinical problem. The International Society of Endovascular Specialists (ISEVS) is dedicated to enhancing global research, education and clinical expertise in the treatment of one of the world’s number one killers – vascular disease. Following the FDA’s decision to impose boxed warnings on both approved ultrasound contrast agents, many cardiologists, radiologists, and other ultrasound professionals around the world came together to advocate for patient interests. VAS is a multidisciplinary society which is of interest to nephrologists, surgeons, interventional radiologists, dialysis, nurses, vascular and radiological technologists. VAS is the leading international vascular access society is involved in several types of education, practicing and scientific exchange in this field. SOPE is an independent organization whose mission is to maintain and promote excellence in the echocardiographic examination of every fetus, infant, child, and adolescent as well as the adult with congenital heart disease. SCCT is the international professional society representing physicians, scientists and technologists advocating for research, education and clinical excellence in the use of cardiovascular computed tomography. The American College of Phlebology is the premier association for physicians and allied health professionals dedicated to the diagnosis and treatment of venous and lymphatic disease. The American Registry for Diagnostic Medical Sonography® (ARDMS®) administers examinations and awards credentials in areas of ultrasound. SVU is a membership society dedicated to the advancement of noninvasive technology used in the diagnosis of vascular disease. The Society has a diverse membership of over 5,700 vascular technologists, surgeons, cardiologists, lab directors, academics, students and other professionals involved in the practice of vascular ultrasound. The Society of Diagnostic Medical Sonography (SDMS) is a professional membership organization founded in 1970 to promote, advance, and educate its members and the medical community in the science of diagnostic medical sonography. The American Society of Echocardiography is an organization of professionals committed to excellence in cardiovascular ultrasound and its application to patient care through education, advocacy, research, innovation, and service to their members and the public. The Society of Pediatric Cardiovascular Nurses is the only international organization dedicated to expanding nursing knowledge and expertise in the care of children and young adults with heart disease. The Journal of Vascular Nursing provides clinical information regarding aortic and peripheral aneurysms, upper and lower extremity arterial disease, acute and chronic venous disease, and more. The Preventive Cardiovascular Nurses Association (PCNA) is the leading nursing organization dedicated to preventing cardiovascular disease through assessing risk, facilitating lifestyle changes, and guiding individuals to achieve treatment goals. The European Journal of Cardiovascular Nursing is the International Journal of the European Society of Cardiology dedicated to the advancement of knowledge in the field of cardiovascular nursing: promoting evidence-based clinical practice. The CCNAP’s main objective is to support nurses and allied health professionals throughout Europe to deliver the best possible care to patients with cardiovascular disease and their families. CCCN’s official publication is a bilingual, peer refereed journal which is published quarterly. Content includes original articles concerned with health care issues related to cardiovascular health and illness, a clinical column and research rounds. The Canadian Council of Cardiovascular Nurses (CCCN) is a national, not-for-profit organization. Foundational to the organization are the pillars of health promotion and advocacy, professional education, research, and excellent membership services. Critical Care Nurse, a bimonthly peer-reviewed journal, provides critical care and acute care nurses with accurate, relevant, and useful information concerning the bedside care of critically and acutely ill patients and to keep critical and acute care nurses informed on issues that affect their practice. AACN is the largest specialty nursing organization in the world, joining together the interests of more than 500,000 nurses who are charged with the responsibility of caring for high acuity and critically ill patients and their families. The official journal of the Preventive Cardiovascular Nurses Association, Journal of Cardiovascular Nursing is one of the leading journals for advanced practice nurses in cardiovascular care, providing thorough coverage of timely topics and information that is extremely practical for daily, on-the-job use. 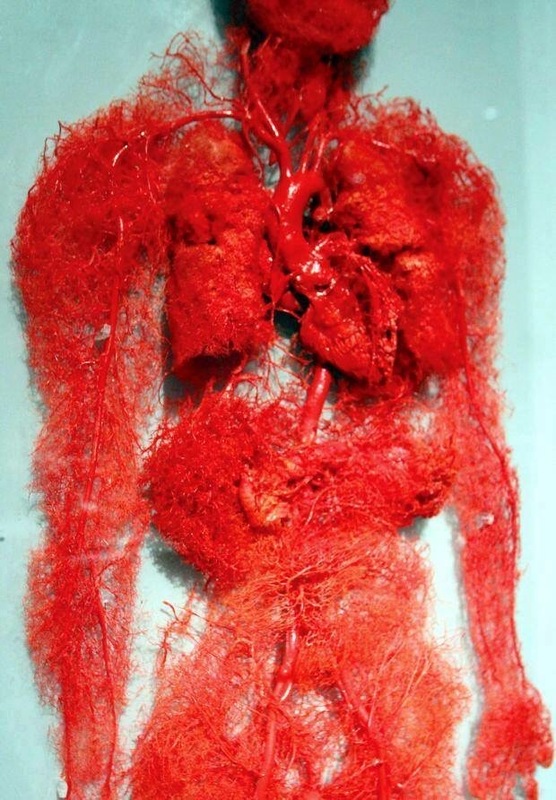 This is a picture of a cast of the heart and blood vessels. This is a picture of what blood vessels look like in the human heart. Acadoodle provides animated tutorial videos to help you learn medical skills that you can use today. The American Nurses Association (ANA) is the premier organization representing the interests of the nation’s 3.6 million registered nurses. ANA advances the nursing profession by fostering high standards of nursing practice, promoting a safe and ethical work environment, bolstering the health and wellness of nurses, and advocating on health care issues that affect nurses and the public. Practical Clinical Skills provides free training and reference guides. Our simulation-based lessons cover heart sounds, murmurs, lung sounds, carotid bruit, blood pressure measurement and EKG training. Diagnostic and Interventional Cardiology (DAIC) reaches more than 25,000 healthcare professionals in cardiology, interventional cardiology and cath labs across the United States. CAAHEP is the largest programmatic accreditor in the health sciences field. In collaboration with its Committees on Accreditation, CAAHEP reviews and accredits over 2000 educational programs in twenty-eight (28) health science occupations. Wes Todd specializes in training for invasive professionals in cath labs and EP labs. These materials may be used for invasive staff continuing education as well as for board exam preparation. CCI is an independent not-for-profit corporation established for the purpose of administering credentialing examinations as an independent credentialing agency. CCI began credentialing cardiovascular professionals in 1968. TCTMD is produced and administered by the Cardiovascular Research Foundation (CRF). CRF’s mission is to strive to improve the quality of life for patients with cardiovascular disease. The organization’s goal is to advance the development and use of safe and effective minimally invasive cardiovascular treatments. The ACC strives to achieve its enduring purpose: to improve cardiovascular health through education, research, quality care and health policy. The Alliance of Cardiovascular Professionals offers members high quality professional education granting CEUs to CVTs, RTs, and RNs. *The Society of Invasive Cardiovascular Professionals (SICP) has merged with the Alliance of Cardiovascular Professionals (ACP). This video starts with explaining the electrical conduction of the heart and finishes with an explanation of the Wigger’s Diagram. Here you can download a .pdf of the Wigger’s Diagram. This app is a combination of sets, containing practice questions, study cards, terms & concepts for self learning & exam preparation on the topic of Cardiac Catheterization.